Looking for something fun to try this year? Why not try your hand in surfing? 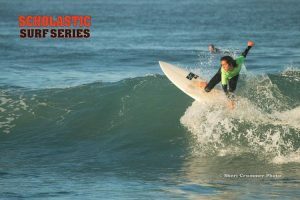 Check out the Scholastic Surf Series at Oceanside Beach Pier on February 2, 2019. The Scholastic Surf Series (SSS) provides a professionally managed and operated platform for school surf teams from San Diego. Teams competing in this new series can expect the same high quality events that the Western Surfing Association has become known for, including professional judging, quality events and a family oriented program.